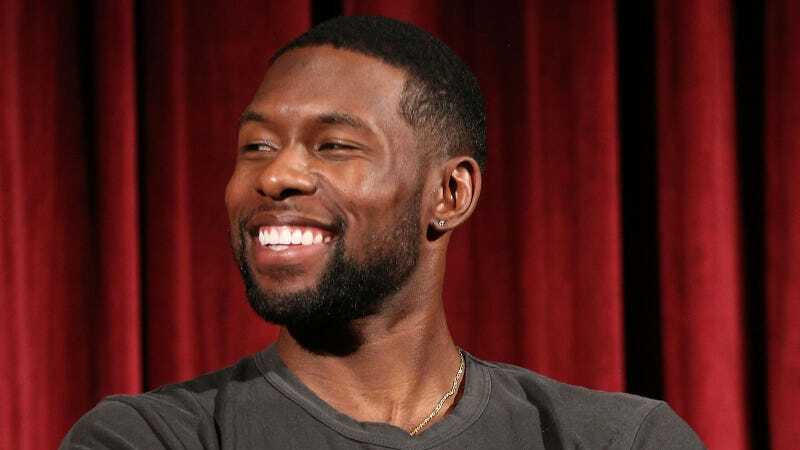 Trevante Rhodes, who played the eldest version of a broken boy named Chiron in last year’s excellent Moonlight, has landed a role in the upcoming Predator film. Nice. Hollywood should keep giving him roles. Since humans are inherently drawn to alien flicks, this reboot/sequel has strong premature blockbuster potential, plus action projects are always expected to serve as profile boosts for lesser known actors. According to The Hollywood Reporter, Rhodes will play the best friend of Narcos star Boyd Holbrook’s character, and they’re both former marines. This is cool, but Rhodes has proven he has the presence to lead a film as well. In Moonlight, the story of Chiron is told in three acts, and each of the actors who play him as a boy (Alex R. Hibbert), then a teen (Ashton Sanders) and then a gorgeous, ripped man (Rhodes) brings a special quiet force to the role. Rhodes perhaps had the biggest challenge in having to embody the characteristics of each stage of Chiron’s evolution, and he did it with a subtle elegance that’s difficult to teach or learn. Immediately after watching Moonlight, I wanted to see more of every actor, but especially Rhodes (he had a minor role in an episode of Westworld last year), and not just because I silently gasped at his body, but also because of his obvious dedication to showing empathy. He reportedly has a role in Terrence Malick’s Weightless (he told GQ, “I did it four years ago. Shot it while I was in college. But I saw Terry recently and he recognized me. So I was like, ‘All right, maybe I did make the cut’”) and was also cast in the Afghanistan War film Horse Soldiers with Chris Hemsworth. We want more.